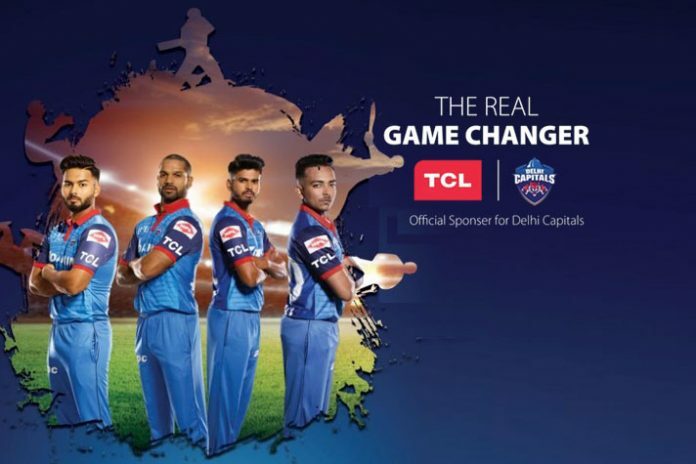 TCL Electronics, global top-two television and electronics brand, has announced a partnership with Delhi Capitals as a team sponsor for the upcoming Indian Premier League (IPL) 2019. As part of the association, TCL will sponsor the Delhi-based T20 team for the duration of IPL 12. TCL Electronics’ decision to partner with the IPL team is only natural given the latter’s status as a brand that has changed the face of cricket and sports in India. The association also taps into the synergies between TCL’s global legacy of over 38 years as a pioneering consumer electronics company. Leveraging IPL’s massive reach and viewership, the brand aims to further cement its leadership position within the Indian market, states a Press release. The latest development reaffirms TCL’s strong India-first approach and underlines its commitment to delivering newer experiences and innovative, cutting-edge technology affordably to the country’s vast and growing customer base. Speaking on the announcement, TCL India Country Manager Mike Chen, said, “As one of the biggest sports hubs in India, the Delhi/NCR region has a massive base of cricket fans devoted to Delhi Capitals. Our decision to partner with the T20 team, however, is influenced by more than just the end-consumer reach. Both TCL Electronics and Delhi Capitals have distinguished brand legacies and are known to be game-changers and pioneers in their respective domains. This mutual core synergy is why we have tied-up with Delhi Capitals as a team sponsor. “Having emerged as a game-changer in the consumer electronics space, we will further leverage the mileage from this association to introduce new products and categories to TCL’s portfolio for the Indian market. We will be looking to further build on our India-first approach and bolster our emphasis on creating products ‘for the people, by the people, with the people’,” added Chen. TCL will also introduce special offers and campaigns in association with Delhi Capitals throughout the tournament to deliver novel experiences to all Indian cricket lovers.